Murray was born in Glencastle, County Mayo, and began playing with local junior side Erris United at the age of 12. 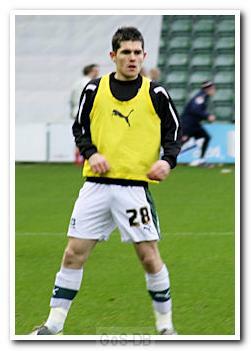 In 2007 he had a trial with Ipswich Town and joined the club the following year. Over the next three years he had an impressive goalscoring record for the academy and reserve sides and in 2010 signed his first professional contract. His first team debut came in a 3-2 League Cup win at Exeter City, where he scored once and played a part in both goals scored by former Argyle favourite David Norris. Manager and fellow Irishman Roy Keane described him as "probably the club's most natural goalscorer", but despite this his first team chances remained limited, and he joined Torquay United on loan in March 2011. Having previously represented the Republic of Ireland at under-16, under-18 and under-19 levels, he made his under-21 debut against Portugal in the same month. Recalled to Portman Road in April 2011 by new manager Paul Jewell, Murray agreed a new one-year contract. However, he again could not break into the first team at the start of the next campaign and joined Swindon Town on loan. His form there led to Swindon making an offer of £100,000 during the transfer window, but this was rejected and Murray signed a contract extension with Ipswich. He then returned to Swindon on loan for the rest of the season and helped the club win League Two and reach the final of the Football League Trophy. Murray made just one appearance for Ipswich at the start of the 2012-13 campaign, and joined Argyle on loan in January 2013, becoming new manager John Sheridan's first signing. 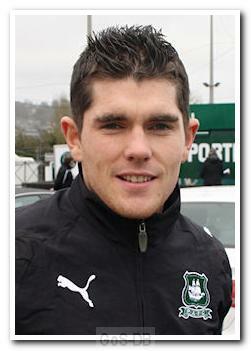 A vital winner against Edgar David's Barnet in the March proved to be the Irishman's only goal in 13 appearances for Argyle. He was released by Ipswich at the end of the season and signed with League One side Notts County after a successful trial in August 2013. The striker notched nine goals in 16 starts in all competitions for the Magpies - seven of those goals were in the league and helped the club's 'Great Escape', securing their League One safety. At one stage in March 2014 he scored five goals in four games. His wholehearted displays were rewarded with a contract extension until the end of the 2015-16 campaign.